Draft: 2013, Seattle Mariners, 8th rd. July 9, 2018 Gwinnett Stripers released SS Tyler Smith. February 24, 2018 2B Tyler Smith assigned to Atlanta Braves. December 14, 2017 Gwinnett Braves claimed SS Tyler Smith off waivers from Round Rock Express. September 30, 2017 Round Rock Express activated 2B Tyler Smith from the 7-day disabled list. August 30, 2017 Round Rock Express placed 2B Tyler Smith on the 7-day disabled list. 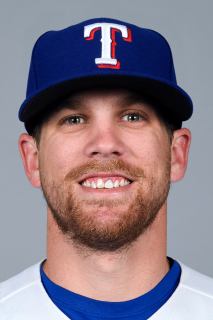 August 12, 2017 Texas Rangers sent 2B Tyler Smith outright to Round Rock Express. August 11, 2017 Texas Rangers optioned SS Tyler Smith to Round Rock Express. August 9, 2017 Texas Rangers recalled Tyler Smith from Round Rock Express. August 3, 2017 IF Tyler Smith assigned to Round Rock Express. July 30, 2017 Texas Rangers claimed 2B Tyler Smith off waivers from Seattle Mariners. July 28, 2017 Seattle Mariners designated 2B Tyler Smith for assignment. June 21, 2017 Seattle Mariners optioned 2B Tyler Smith to Tacoma Rainiers. June 2, 2017 Seattle Mariners selected the contract of Tyler Smith from Tacoma Rainiers. January 30, 2017 Seattle Mariners invited non-roster 2B Tyler Smith to spring training. April 4, 2016 2B Tyler Smith assigned to Tacoma Rainiers from Jackson Generals. February 15, 2016 Seattle Mariners invited non-roster SS Tyler Smith to spring training. September 1, 2015 SS Tyler Smith assigned to Peoria Javelinas. May 4, 2015 Jackson Generals activated SS Tyler Smith from the 7-day disabled list. April 23, 2015 Jackson Generals placed SS Tyler Smith on the 7-day disabled list retroactive to April 22, 2015. March 4, 2015 SS Tyler Smith assigned to Seattle Mariners. August 12, 2014 SS Tyler Smith assigned to Jackson Generals from High Desert Mavericks. May 7, 2014 High Desert Mavericks activated SS Tyler Smith from the 7-day disabled list. May 1, 2014 High Desert Mavericks placed SS Tyler Smith on the 7-day disabled list retroactive to April 30, 2014. April 1, 2014 SS Tyler Smith assigned to High Desert Mavericks from Pulaski Mariners. March 3, 2014 SS Tyler Smith assigned to Seattle Mariners. July 1, 2013 SS Tyler Smith assigned to Pulaski Mariners. June 23, 2013 Seattle Mariners signed SS Tyler Smith.